With so much for you to experience and choose from, we’ve compiled a guide for getting the most out of CAAMFest without breaking the bank, including several free community screenings and programs. CAAMFest 2016 is almost here! We know many of you are excited about the festival and that you plan to experience some awesome film, food and music events! With so much for you to experience and choose from, we’ve compiled a guide for getting the most out of CAAMFest without breaking the bank, including several free community screenings and programs! But don’t fret too much if you purchase tickets – CAAM is a nonprofit, so you’re helping to preserve and enrich arts and culture for everyone! Happy CAAMFesting! 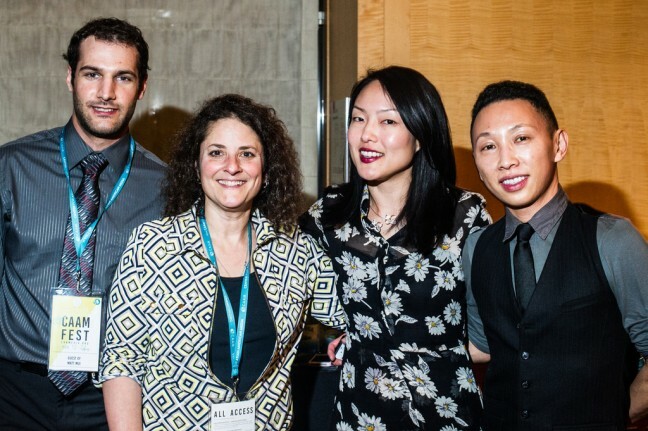 Become a Member of CAAM and Get Tickets, Discounts and More! 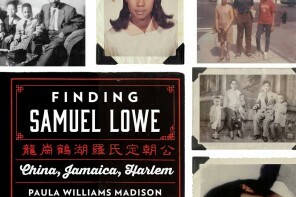 The opportunity to buy CAAMFest tickets before they go on sale to everyone else. The members-only CAAMFest ticket buying period is Thursday, February 11 – Sunday, February 14, 2016. We anticipate that many screenings will sell out, so this is a guarantee that you will be the first to buy tickets. We announce our full program on February 11, 2016 at our CAAMFest press conference and on our website. 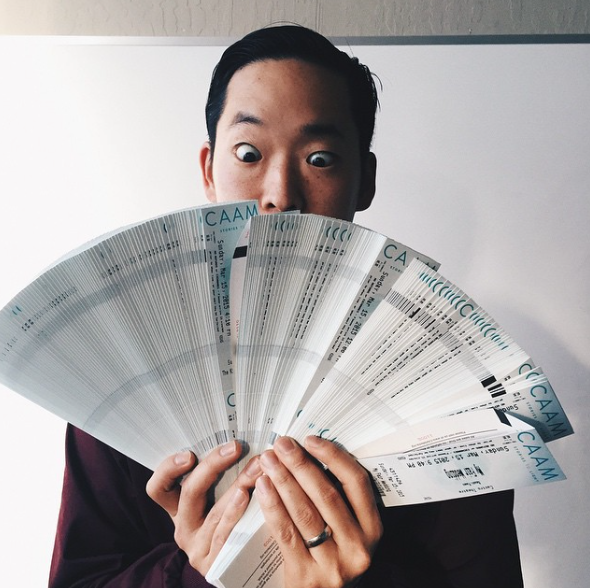 You and your friends can share a 6-pack – of CAAMFest tickets! Tickets good for any combo of screenings and a flexible way to save. Buy a CAAMFest 6 Pack of tickets for $75 and receive 6 CAAMFest tickets. You can use these at the same screening, or multiple screening. Split with friends or gather 5 other folks to attend the same screening. The 6 Pack can be used to get regularly priced tickets for in any combination that you want and is one of the ways we recommend to get tickets and use them flexibly. To read more about which screenings are special events, visit our Box Office & Ticketing page. 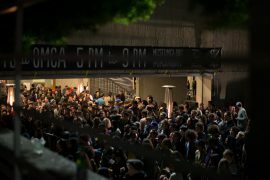 The All-Access pass gets you into every CAAMFest event and screening! 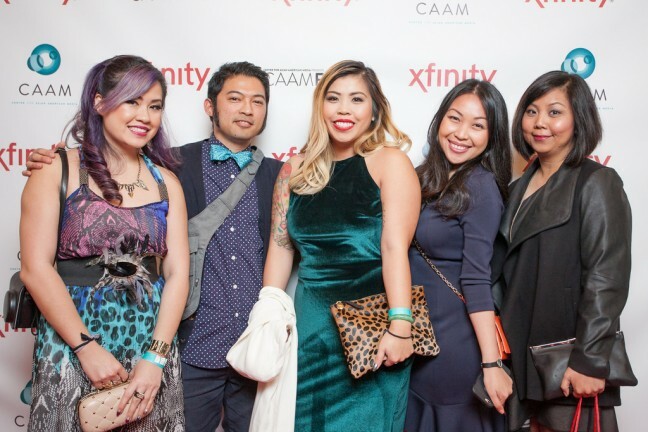 The All-Access pass gives you VIP access to every moment of CAAMFest. This includes all Gala Presentations, regular screenings and any additional ticketed events. You will also receive priority seating for all screenings. Please note that this does not include admission to the 2016 CAAMFeast Awards and Opening Night Gala Board Reception. We got ticketssss! Gather 10 or more folks for a screening and save big. Photo of Festival Director Masashi Niwano. If you are bring a group of 10 or more people to the same screening, you qualify for the group discount! Group orders must be placed in one transaction, i.e. the order must be placed in one fell swoop, not in a piecemeal fashion. Any tickets added on to a group order after initial transaction are subject to regular ticket pricing. Group ticket pricing valid to regularly-priced screenings only. Our volunteers are awesome! Here they are at CAAMFest 2015 sporting their volunteer t-shirt. Volunteer time and earn tickets to screenings! Photo by Coy Tran. 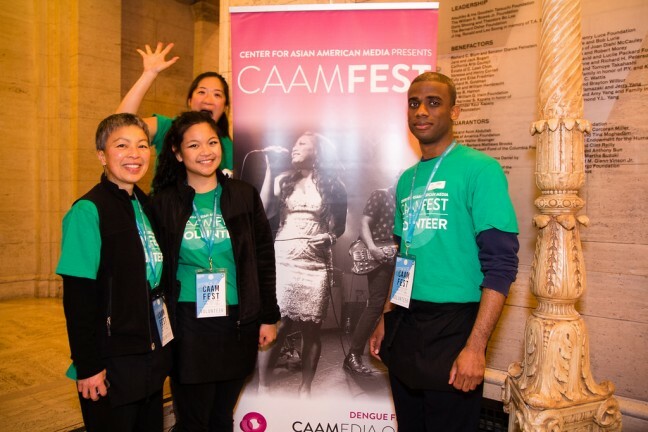 Volunteer for CAAMFest and receive a general admission ticket voucher for each volunteer shift completed. Volunteers help us in a variety of capacities, from the box office to galas and receptions, to ticket taking and driving Festival guests. And it is an amazing experience. The shwag you get is a one-of-a-kind festival t-shirt! Sign up today or email volunteeradmin [at] caamedia [dot] org if you have questions. With the success of digital platforms like Netflix, Amazon, and Hulu, 2016 will see a record number of new digital services looking to fund/distribute content from and for diverse communities. This year has already seen or will see the launch of SVOD/AVOD/OTT platforms including NBC Seeso, CBS All Access, WatchABC, Comic Con, Warner Brothers TV, Verizon Go90, Fullscreen, YouTube Red, Seriously, Rated Red and others. In addition, filmmaker Justin Lin (FAST & FURIOUS franchise, upcoming STAR TREK BEYOND) and YOMYOMF will be launching Interpretations 2.0 with Comcast/NBCUniversal to discover the next wave of promising Asian Pacific American filmmakers. As traditional opportunities dry up for filmmakers, could digital become the new indie cinema? YOMYOMF talks to key players from the industry providing outlets for this new and sustainable content about the opportunities for Asian Pacific American content creators in the brave, new digital world. 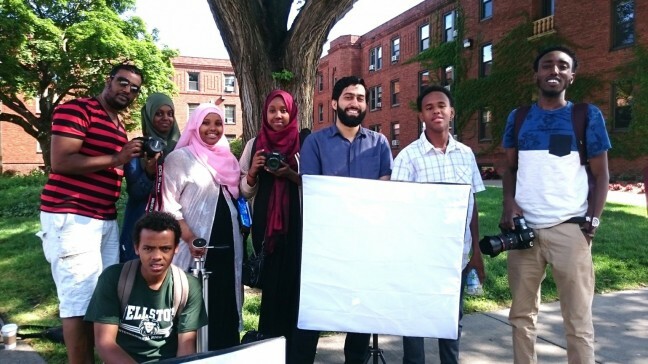 Muslim youth in Philadelphia and Minneapolis create short film magic. In the second year of this signature CAAM program, they explore the universal truths of growing up. Acclaimed filmmaker Musa Syeed returns to help young people craft their unique stories that disintegrate the borders built on stereotypes. Youth Voices on China is the 1990 Institute’s signature contest, which fosters global awareness among young Americans. 2016 student submissions address the President on how to build more positive relations with China by sharing creative cultural exchange ideas. Hear stories of the next generation calling for change. CAAMFest is excited to welcome back this innovative program. 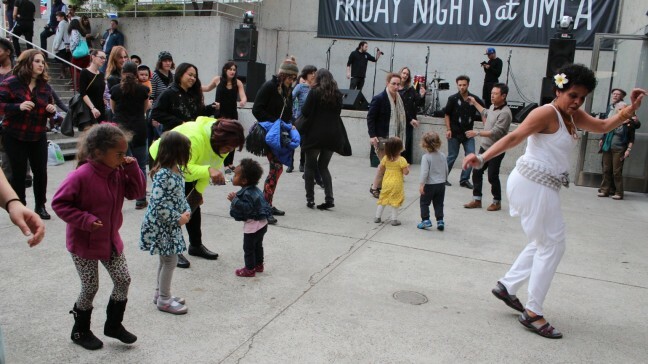 Celebrate CAAMFest’s return to the great Oakland Museum of California with a program capturing the intersection of Pacific Island and Bay Area culture. Enjoy half-off museum admission, gourmet food trucks from Off the Grid and Pacific Islander presentations. End the evening with the world premiere of Tad Nakamura’s documentary, MELE MURALS. 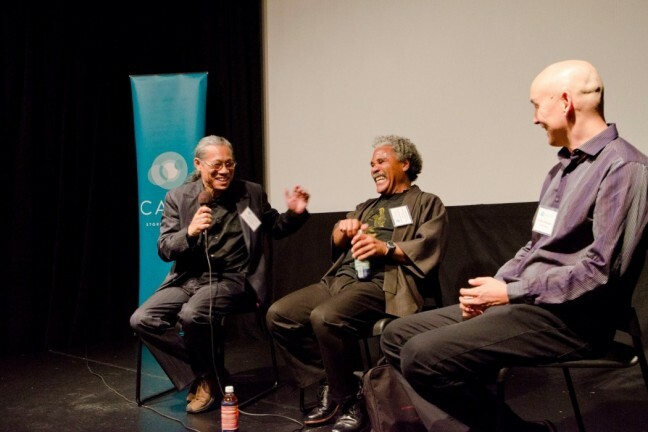 For questions about CAAMFest tickets, please contact the Box Office at boxoffice@caamedia.org or call 415.552.5580.